When it comes to your little baby you want the best. This graphic gives new parents an overall view of the healthiest foods they should feed their little throughout the first 3 years of its development that reportedly are the most critical ones. 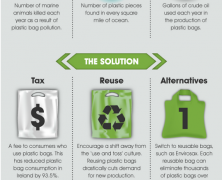 This infographic comes to justify the classic saying “1 picture worth 1000 words”. We say, likely even more. Can a specie’s innate wildness, like sharks, contrast with man’s intention to kill for the sake of money profit? Cats, Dogs, Birds, Fishes, Rabbits are some of the most popular pets we like to host. 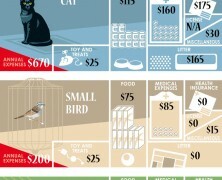 It’s good to know how much it costs on average owning and caring of a pet per year. Some of the typical expenses like food, medical treatment, heatlh insurance, toys and litter vary and are largely depending on pet size. Doing some calculations and weighing up our personal finance before buying a pet is a good practice. Seafood is good, rich in protein and omega 3 – low in fat. But there are risks lurking that depend on the choices we make for our meal. This report sheds some light on critcal factors we should consider to avoid excessive toxin intake by seafood consumtpion. If you are planning to go in the fishery industry you may like to learn what a catch share is and what the involved attributes of a catch share program are. EDF offer this information on descriptive graphic layout. Brief alert report for environmental awareness against the excessive use of plastic and adoption of safe plastic waste management. This is not a seafood discalimer. It’s a voice against the exhaustive fishing methods that threaten the existence of various species. 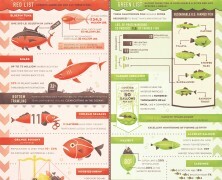 We, as consumers ought to wisely select our next seafood meals in a way that will help endangered species to recover. Learn how. 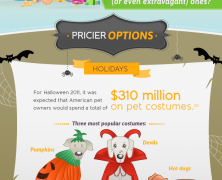 Discover statistics about pet ownership in the US and total expenditure in the pet industry. Before adopting a pet you should reckon with your wallet – even for the staples. It’s your decision how far you wanna go. 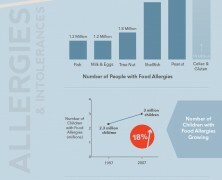 Almost 50 million people live on special diet scheme due to food allergies and intolerances in the US. Fooducate released this commercial report to denote the magnitude of the situation and help people find gluten and allergy free products using its mobile app. Learn how our nutrition habits affect the 3 maintenance pillars of earth’s eco-system. According to this report, raising animals for food is inefficient. 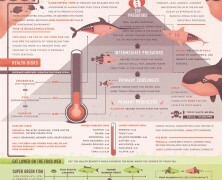 The entire food web is contaminated by trash and our garbage that goes in the ocean is also ending up in our diet. Dissapointing but true. See how the circuit works.